Uncovering your own investment beliefs is a challenge on its own. 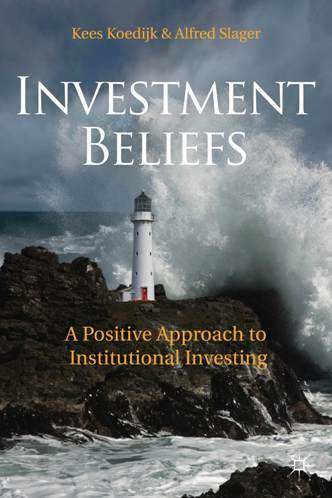 Uncovering other funds’ or managers’ investment beliefs is an entirely different challenge. John Minahan’s 2008 paper discusses how to uncover an active manager’s belief system for two reasons: “First, an active investment process is designed to exploit a manager’s beliefs about how superior performance is generated, so understanding the manager’s beliefs is central to judging the manager’s investment process. Second, I want to know how proactive the manager is about using the available tools to self-assess his or her investment process and beliefs.” His thesis sounds: you might have more confidence in managers with an adaptive or proactive belief system. It’s refreshing to see managers actively wrestle with learning and improving using whatever framework they have developed, formal or improvised. This entry was posted in Articles, Management and tagged investment beliefs, manager. Bookmark the permalink.